Written by michael. Posted on August 25, 2009. Filed under Other. 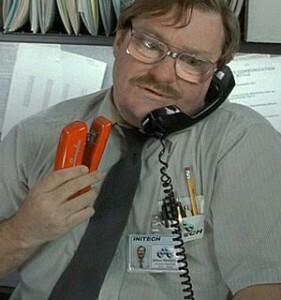 Tagged Intern, milton, office, office space, stapler, swingline. No comments. The folks over at Think Geek are offering two very important items. One is for work. One is for getting fat after work. They are both important and life-changing. 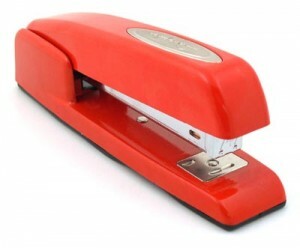 If you want to be the coolest intern on the block (er…in the office), you need to get the classic Red Swingline stapler ($21.99) . Milton would be proud.